I don’t often buy software since there are so many free and open source alternatives to most things I need. And when it comes to backup solutions, there’s not exactly a lack of alternatives there either. 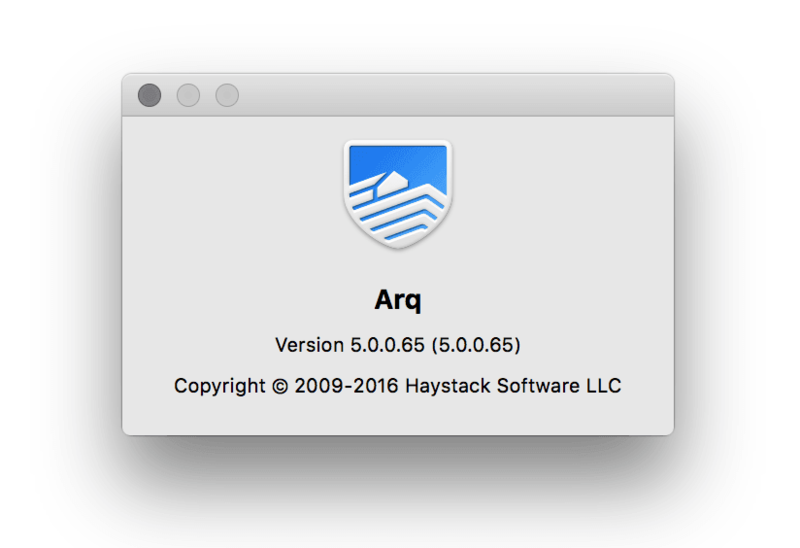 However, I tried Arq backup a few months back and felt it worthy of a review. 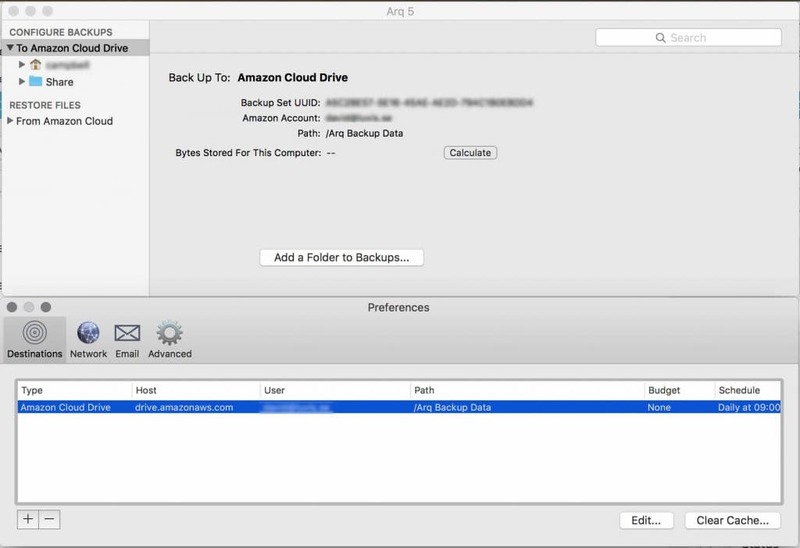 What’s great about Arq is that it allows you to back up your data to most any cloud service or secure FTP of your choosing. And it stores your encryption key on your computer so no backup service ever has access to your stuff. That means you can’t just ask your backup service for help and they’ll fix it for you, you actually have to keep track of your keys your self. Which is a good thing I might add. I don’t really like the idea of giving all my credentials away to someone else to handle. The Arq team, recently updated the software to version 5 which added a whole bunch of interesting and great features. Since I have my files on both my computer and spread out on network drives. Arq let’s me run a script before and/or after the backup. So I can easily create a script that checks if the network drives are mounted and if not, mount them before running the backup. Below is the code btw for anyone who needs it. Just code and save it as AutoMount.sh (you might need to change permissions and make it executable). Add that to the settings of your backup. At the moment I’m running my backup to Amazon Cloud Drive which gives me unlimited space for 60$/year. Adding to that a one time fee for Arq really felt worth it to me. When you purchase Arq they give you the opportunity to pay an extra fee for lifetime upgrades which gives you access to all future versions of the software. So it really is a one time fee. So if you’re looking for a backup program, Arq is great and you can get a 30 day trial and usually a trial at most cloud services like Google cloud services or Amazon as well, so it’s free to try. And it works in both Windows and OSX which is great too. Hopefully they’ll add support for Linux systems as well. I’d love to run this on my Raspberry Pi.